Hades was both the name of the ancient Greek god of the underworld (Roman name: Pluto) and the name of the shadowy place below the earth which was considered the final destination for the souls of the dead. Perhaps the most feared of the gods, he is described by both Homer and Hesiod as ‘pitiless’, ‘loathsome’, and ‘monstrous’ Hades. 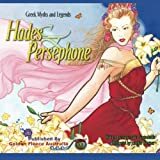 The god's wife was Persephone whom he abducted to join him in the underworld, and his symbol is a sceptre or cornucopia. Following the overthrow of first the Titans and then the Giants by the Olympian gods, Hades drew lots with his brothers Zeus and Poseidon to decide which part of the world each would rule. Zeus received the sky, Poseidon the seas, and Hades the underworld. Perhaps a less prominent protagonist in the tales of mythology than the other Olympian gods, Hades, nevertheless, must have been held in superstitious awe by many ordinary Greeks. Indeed, even to speak his name was avoided; instead epithets were used such as Eubuleus (giving good advice). There are also accounts of sacrificial practices made in honour of Hades, carried out at night and where the blood of victims was left to seep down into the earth to reach the underworld god. Hades was the only god not to reside on Mount Olympus, dwelling instead in a dark palace beneath the earth. The god also had a helmet made by Hephaistos which rendered the wearer invisible, and it was this helmet that was used by Athena when she fought Ares in Homer’s account of the Trojan War in the Iliad and by Perseus in his quest for the head of Medusa. Hades was the only Greek god not to reside on Mount Olympus, dwelling instead in a dark palace beneath the earth. In mythology, Hades fell in love with Persephone, daughter of Zeus and Demeter, and abducted her to live with him. When Hermes discovered this, he demanded Persephone be returned to Demeter and it was decided that if she had not eaten any food from Hades, she could return to the upper world. However, Hades tricked the girl into eating a pomegranate seed and therefore she could only return to the living for half of the year. This myth was symbolic perhaps of the cycle of life and death, planting and harvest. The celebration of Persephone’s return to the upper world was probably a part of the famous Eleusian Mysteries performed at the sanctuary of Demeter at Eleusis. In Archaic and Classical Greek art, Hades is most often represented as a more mature man, bearded and holding a sceptre, a two-pronged spear, a libation vase, or a cornucopia - symbolic of the mineral and vegetable wealth which comes from the ground. On occasion he is seated on an ebony throne or rides a chariot pulled by black horses, often with Persephone at his side. The god Hermes was believed to lead souls to the river Styx in the underworld, at which point the aged boatman Charon ferried them to the gates of Hades where Kerberos - the ferocious three-headed dog (or fifty-headed according to Hesiod) with serpents coming out of its body - stood guard to keep souls in rather than to keep others out. It was for payment to Charon that bereaved family members put a coin in the mouth of the deceased (for Greeks the traditional coin was the low-value obol). The unburied or those without the means to pay the boatman were condemned to wander the Earth as ghosts. This belief hints at the ambiguous nature of Hades. It was not necessarily a place of torment and suffering but in most cases, simply the final resting place of the soul. On arrival at the gates of Hades, the final destination of the souls was determined by an assessment of their actions whilst they were alive. Traditionally, the three judges of souls were Minos, Rhadamanthys, and Aiakos, themselves noted for their honourable lives. Souls judged to have led especially good lives were first taken to drink the waters of the River Lethe which made them forget all bad things, and then they were taken to the idyllic Elysian Fields. Those souls judged to have led bad lives were put in the hands of the Furies and taken to Tartarus, the lowest level of Hades, to receive punishment for their misdeeds. The worst-offending souls, those who had offended the gods with their impiety, were condemned to eternal torment. Examples of those so punished were Sisyphus who had to forever roll a rock up a hill, Tantalos who could never quench his thirst, Oknos who plaits one end of a rope while a donkey eats the other end, the daughters of Danaus who had to try and fill a sieve with water, and Ixion who was tied to an ever-spinning wheel. Although a fearful place to the living, Hades was visited by several heroes in the course of their various adventures, including Hercules to capture Kerberos in the last of his twelve labours, by Odysseus to seek the advice of wise Tiresias, by Orpheus to find Eurydice, and by Theseus and Peirithoos to capture Persephone so that she might marry the latter. These last two heroes were, however, less fortunate than the others in that Hades imprisoned them in two thrones (or tied to two rocks in other accounts) and only Theseus would later escape from the underworld when Hercules released him. Cartwright, Mark. "Hades." Ancient History Encyclopedia. Last modified July 19, 2012. https://www.ancient.eu/Hades/. Cartwright, Mark. "Hades." Ancient History Encyclopedia. Ancient History Encyclopedia, 19 Jul 2012. Web. 20 Apr 2019. Written by Mark Cartwright, published on 19 July 2012 under the following license: Creative Commons: Attribution-NonCommercial-ShareAlike. This license lets others remix, tweak, and build upon this content non-commercially, as long as they credit the author and license their new creations under the identical terms. Please note that content linked from this page may have different licensing terms.